Listen to the episode on Podiobooks.com. 1. 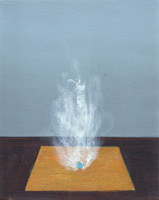 She extracted a light blue fuzzy pellet, the size of a hummingbird's egg, and delicately placed it atop the golden cloth. 2. Three seconds later, a mist sprang forth from the pellet. It enveloped Zophia and Nigel and rose to the ceiling. 3. When the mist cleared, a new sky blue pantoof stood on the glittering cloth! 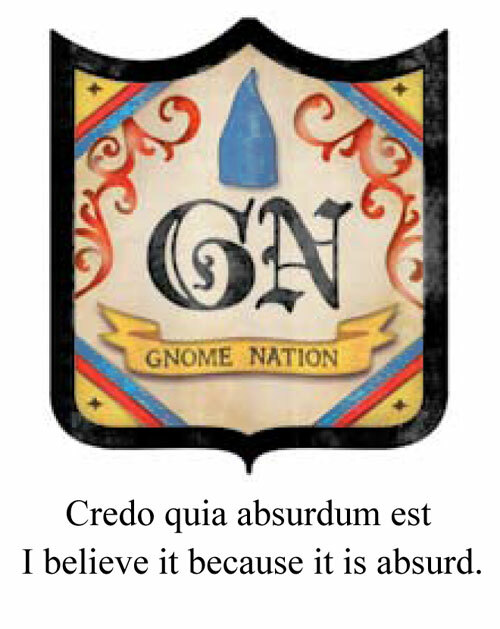 The identity of the “mysterious gnome sighting” is revealed. Who is the courageous warrior who has come to the Gnome’s rescue? Caption for this chapter's illustration: Brenda read a shocking bulletin on her browser. 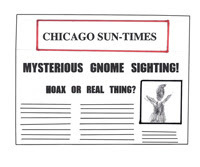 "Mysterious Gnome Sighting in Chicago: Hoax or Actual Occurrence?" 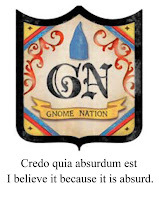 A silhouetted image of a gnome appeared below the subtitle. In order to keep the Gnome safe, it’s up to Brenda to come up with a ruse. Is she capable of tricking the trickster? 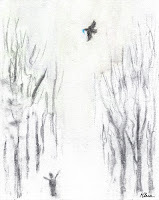 Caption for this chapter's illustration: That night, Brenda dreamed she embarked on the Great Flarkenspiel, trudging through wilderness under a moonless sky amid falling rocks. 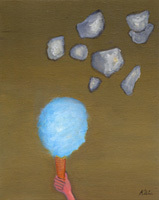 It was a harrowing dream but fulfilling because she ultimately obtained a cone of blue cotton candy, which she thrust heavenward as if it were the torch of freedom. The Gnome revisits the forest but during his leave-taking, he suffers a catastrophic loss. 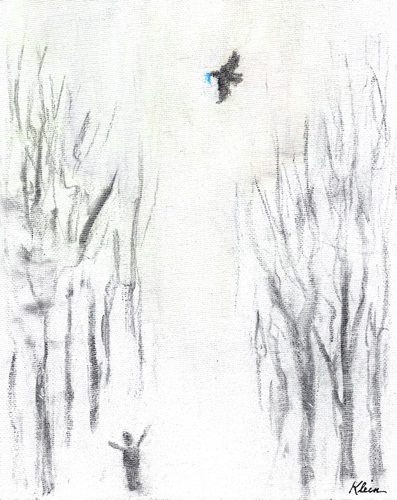 Caption for this chapter's illustration: He swooped down like a bolt of black lightning and seized the Gnome's pantoof with his beak and took off with it. With the help of the Gnome's colleague, an expert in conflict resolution, Brenda finally confronts her abusive boss. But why does the mediator smell like a swamp and sound like a thug? 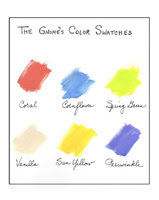 Caption for this chapter's illustration: The Gnome's Color Swatches: You would sparkle with accents in coral, or cornflower blue, spring green—vanilla! You would shine with a touch of sunny yellow, a sprinkle of periwinkle.